Ok Boon, aka the Goblin Granny, is a feisty, elderly woman who combs through the town for any sign of trouble. Over a span of 20 years, she has filed 8000 complaints to the district office. When Min Jae, a stickler Level 9 civil official, transfers over and asks the unstoppable granny, according to procedures, to take a number for her complaints, great tension rises. One day, Ok Boon witnesses Min Jae speaking English like a native, when she’s disheartened for not improving in English after many years of studying and begs him to teach her. Later, the unlikely duo, with absolutely nothing in common, begin having English lessons. As they spend more time together, they start to understand and communicate with each other and become close like family. 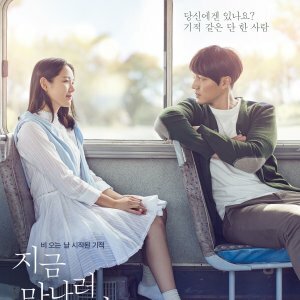 Having always wondered why Ok Boon is so bent on learning English, Min Jae later learns that there is something she must say in English. 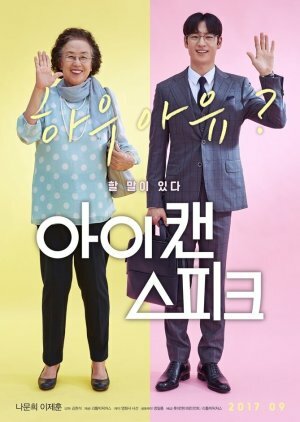 "I can speak" the movie initially is about the growth of friendship between an older woman and a younger man, what starts off as a sour start to their relationship turns into a sweet friendship after Park Min Jae (Lee Je Hoon) teaches Na Ok Boon (Na Moon Hee) English out of guilt, as she had asked many times and he refused. I've never watched an anti-Japan film before so I don't want to add anything to that side of the subject, as I could come off seeming offensive to some people, anyway the story was nothing too special like I said mostly about the friendship side which took a lead role in the majority of the film. Despite that it was quite an enjoyable movie to watch, especially as the movie gradually got more interesting in the second half. How is it humanly possible to make such a brilliant cinema? I’m still awestruck after finishing the movie. The depiction of the main story would come in such a roundabout but in a meaningful way that it was incredible. I CAN SPEAK – this name is used symbolically, is what came into my mind while watching the movie. It is actually a pseudonym for the main story. Surprisingly viewers cannot speculate what kind of seriousness the story holds at the beginning of the movie. 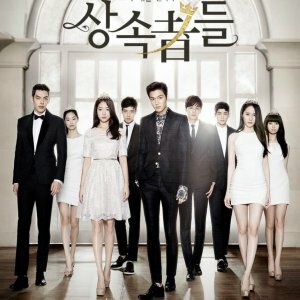 The starting is more or less about the introduction of the characters, their characteristics and their individual lifestyles. It was filled with joviality, frustration, lawlessness, boredom and grouch. The character of Na Ok Boon aka Goblin Granny is dreaded by everyone. Her main task is to pinpoint her neighbours about the wrongdoings, seditious behavior and illegal practices which disrupt the smooth social order. She is nonchalant and valiant. No amount of scorn or condescend towards her can back her down. She would be always ready to file a complaint against any atom amount of illegal doings to the district office. Apart from this which is her regular work, she is highly eager to earnestly learn English for a special reason. Thus the revelation of her main reason for learning English Language on the second half of the film makes it simply wonderful. Besides, Na Ok Boon another main character called Park Min Jae, a 33 year old civil servant, is a regular office worker. He had dreamt of being into another profession but somehow ended up as a govt. official for familial reason. Fortunately or unfortunately the fates of Ok Boon and Min Jae are intertwined and with much hesitation at first, eventually Min Jae gives up and starts to teach English to Goblin Granny. 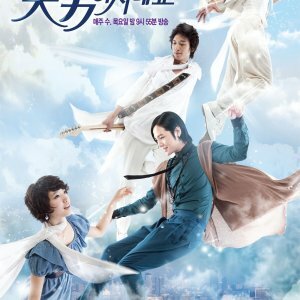 He becomes his English teacher and along with his younger brother becomes family of the granny. As the story progressed, through dramatization of few incidents, it is gradually unraveled why the granny is so enthusiastic and adamant about learning the language. It becomes intelligible that why she wants her past predicaments to be hidden from everyone and what importance this language holds in her life. The movie is made about a sensitive issue which is heart rendering and capable of making the viewers’ hearts warm with reverence. 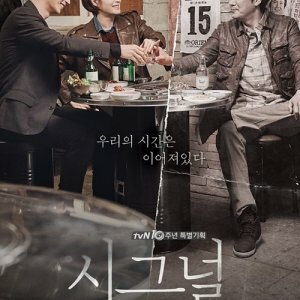 Both Na Moon Hee and Lee Je Hoon portrayed exceptional performance of their character. Not even a single moment it feels like they are acting. Their performance was natural especially Na Moon Hee being a veteran actress knows the exact thing to do with her role. They were utterly impressive. Reviews should be written with critical analyses of important scenes and about the story line by line. However, in MDL it is difficult because we need to maintain caution for not spoiling the story for other viewers. Therefore, I’m forced to keep it short otherwise I had galore of good things to write about this movie. This is the kind of movie I’ll always cherish and would encourage others to watch. “I Can Speak” is a genuine representation of real cinema – a real art and a true masterpiece.